The Longer Bio: Linda K. Wertheimer, a journalist for nearly 30 years, often has to explain that she is not the Other Linda, the one of NPR’s All Things Considered fame. This Linda, the one with the K., is the author of Faith Ed, Teaching About Religion In An Age of Intolerance, published by Beacon Press in August 2015. The book, now out in paperback, chronicles public schools’ efforts to teach about the world’s religions in several regions of the country and stems from a Boston Globe Magazine cover story she wrote about Wellesley Middle School’s challenges after it faced controversy for taking children on a field trip to a mosque. Linda worked full-time for major metro newspapers for more than 20 years, including serving as education editor of The Boston Globe and as a reporter at The Dallas Morning News and The Orlando Sentinel. In recent years, her writing has appeared in the Boston Globe Magazine, The New York Times, The Washington Post, USA Today, The New York Times, Time, The Writer, and other publications. 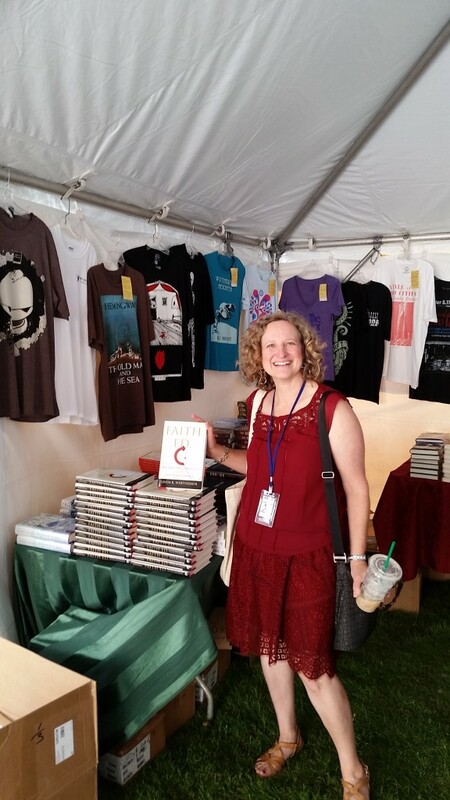 She has won numerous awards for her writing, including second prize in the national nonfiction religion book contest from the Religion News Association for Faith Ed and a second prize from the Education Writers Association. She was a 2014 finalist in the Massachusetts Cultural Council artist fellowship awards for an excerpt from Faith Ed. She has a bachelor’s and master’s degree in journalism from Northwestern University and lives in the Boston area with her husband and son. She teaches at Grub Street, a writers’ organization in Boston. Short Bio: Linda K. Wertheimer, a veteran journalist and former Boston Globe education editor, is the award-winning author of Faith Ed, Teaching About Religion In An Age of Intolerance. During her nearly 30-year journalism career, she was a reporter at The Dallas Morning News and The Orlando Sentinel as well as for other publications. Her work has appeared in The Washington Post, The New York Times, The Boston Globe Magazine, USA Today, Time, and many other publications. 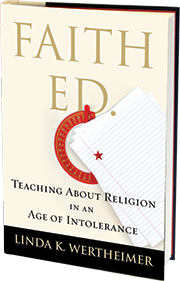 Faith Ed in 2016 won a national book award – second place in the Religion News Association nonfiction religion book contest. She has also won awards for her writing from the Education Writers Association and other organizations. She was a 2014 finalist in the Massachusetts Cultural Council artist fellowship awards. She has appeared on several NPR radio shows, including KERA’s Think in Dallas; Radio Boston; and LA’s Air Talk, as well a nationally televised program on CBS about religion and democracy. A graduate of Northwestern University’s Medill School of Journalism, she lives in the Boston area with her husband and son. Note: Please contact Linda at Linda@Lindakwertheimer.com if you’d like jpegs of her author photo and book cover for publicity purposes. To see Linda’s resume, click here.